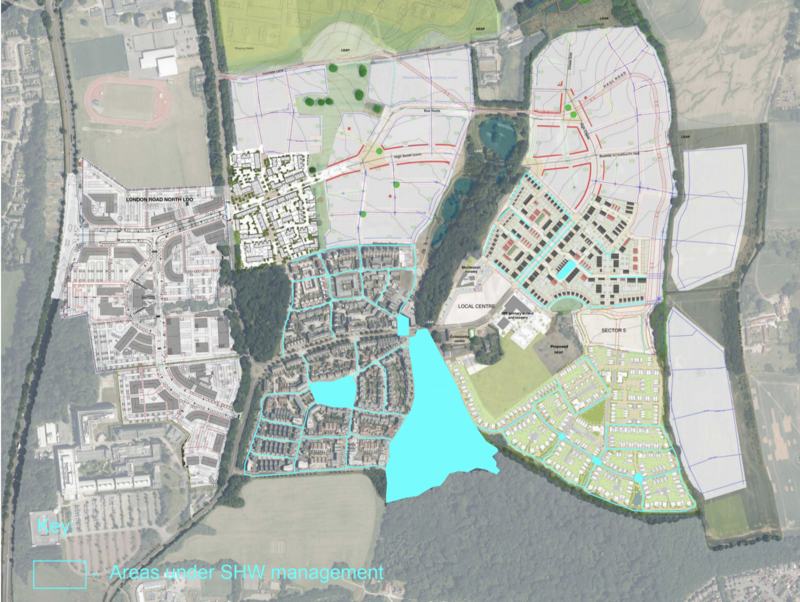 A copy of the Newhall Masterplan showing the above is available here. The areas which are currently under management are identified with blue lining/infill. Please be aware that, where a blue line includes a roadway, it may mean that SHW deal with the gardens fronting onto the road only as the majority of the roads in/around Newhall are still under the responsibility of the individual developer (with the exception of The Chase and Great Auger Street which have been adopted by Essex Highways). We hope this Plan proves useful to you. Do let us know if you wish to query any detail relating to the Plan.